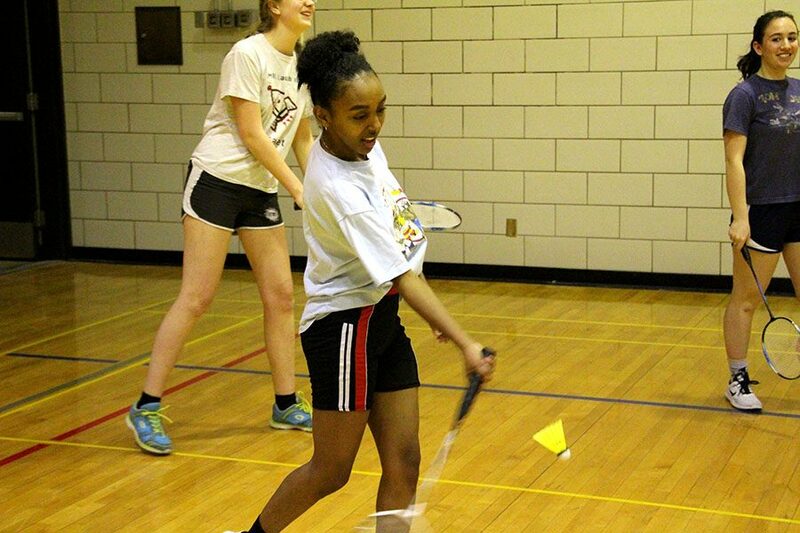 Badminton’s ‘Girls Only’ sign prompts question: Who is Title IX for? “Football is such a huge sport, with a huge amount of numbers so sometimes you may need two women’s sports to compensate for that. If you’ve got a football team of 70 and you’ve only got a volleyball team of 20 you’ve gotta look at adding another sport…And if you are going to cut a girls’ sport you definitely have to cut a boys’ sport,” explained Cardarelle. According to History.com, before 1972, “there were just 30,000 women participating in NCAA sports, as opposed to 170,000 men.” After the passing of Title IX the number of women participating in athletics increased drastically. While Title IX has provided more athletic opportunities for female students, and allowed for the participation of female athletes in traditionally male-dominated school sports, it’s sometimes unclear what constitutes equality between male and female gendered sports. “One of the biggest things with Title IX is equality, but not equality per sport, equality per participation. If you have a male sport you gotta have a female sport and so forth. Now there’s a lot of issues that go with that: gym space, supervision, [and] qualified staff to supervise,” said Lossow. Title IX can come in handy for female identifying students who petition to participate in a male dominated sport like football or baseball, but Senior Elycia Willis explained that when she decided to sign up for the football team, “it wasn’t really a process…I just signed up.” “Females can play football. Once again male sports…You sign up and if it’s something you enjoy and you can adhere to the covenant we apply, you play football,” said Lossow. How gendered sport rules and laws like Title IX can be exclusionary towards trans and nonbinary students at South is up for debate. “There’s new policies and procedures have to be brought up all the time and figured out so that there’s a standard for us to follow.